Amitabh Bachchan and Gitikka Ganju Dhar - 26/11 event. Mumbai, 27th November 2018: Each year we bow our heads and commemorate and remember those that we lost 10 years ago during the horrendous 26/11 terror attacks that shook our nation. This year, world renowned emcee Ms. Gitikka Ganju Dhar hosted the show and conducting all the activities. 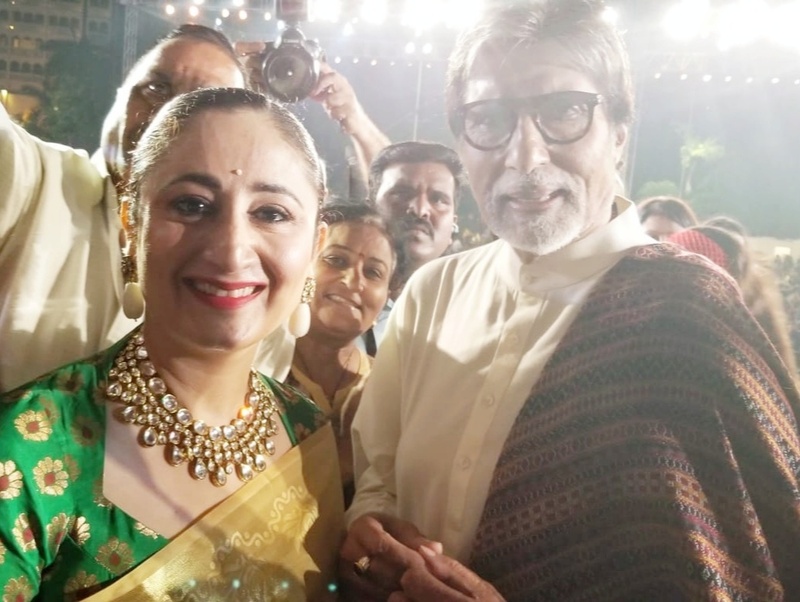 At the event Gitikka introduced several eminent personalities on stage such as Mr. Amitabh Bachchan, Mr. Javed Akhtar, Kaushiki Chakravarty, Rakesh Chaurasia, Mayuri Upadhya, Merlin D'souza, Harshdeep Kaur, Neeti Mohan, Rahul Deshpande, Mahesh Kale, Javed Ali, Ani Choying Drolma, Shivam Mahadevan, Police Band and the Navy Band. Gitikka was also seen inviting survivors to share their stories post the trauma of the attack to acquaint those present about their life and how they came out stronger than ever. Gitikka Ganju Dhar couldn’t have asked for a better opportunity to help contribute back to India.